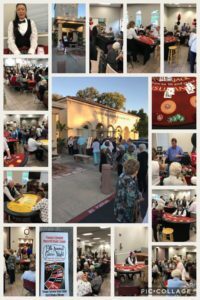 Easy Living Home Care was a major sponsor at the 19th annual Casino Night hosted by the Florence Sylvester Memorial Senior Center in Laguna Woods California. There were many casino games played and generous prizes won. Everyone had a great time gambling and having fun.